A professional industry reader will read your short script (≤ 20 pp.) - short films or digital, short-form, or web series - and provide coverage notes. You will receive constructive feedback on crucial script elements including the strengths and weaknesses of your concept, characters, structure and plot. One page of detailed feedback from our professional industry readers, focusing on the strengths and weaknesses of your Formatting, Concept & Originality, Characterization & Dialogue, and Plot & Structure of your script. Your short script (≤ 20 pp.) including short films and digital, short-for, or web series. A working entertainment industry professional reader. All of our readers have at least 5 years of studio, production company and industry reading experience and have been individually vetted by Stage 32. You are getting ready to submit your short script for a competition, program, or fellowship. 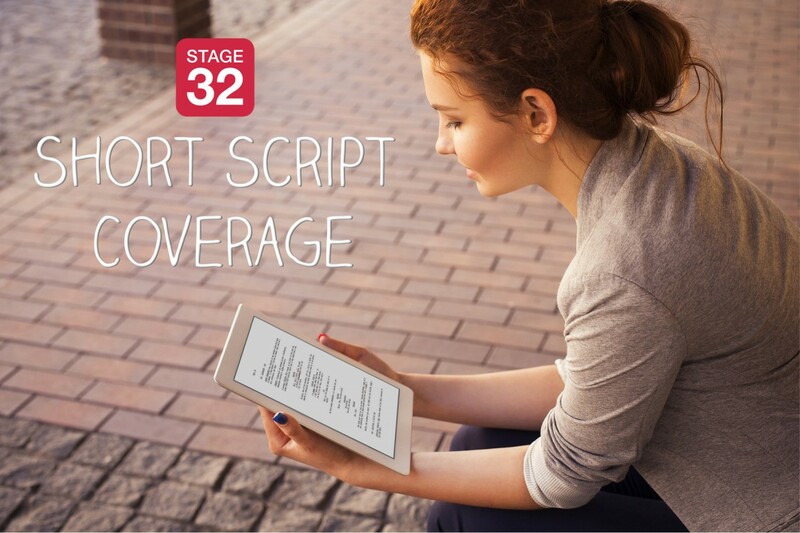 You are perfecting a short script as a proof of concept for your feature or series. You are working on a short script to have full control of your content. You are polishing your script to get ready to shoot it. You are honing the pilot of your digital, short-form, or web series.